The road is calling and Prozak is ready to hit the pavement again with a brand new decked-out van. Preparing to join the Kottonmouth Kings on their Mile High Tour, Prozak will invade 24 cities across the country just weeks after wrapping up the record-breaking Hostile Takeover 2012 Tour. 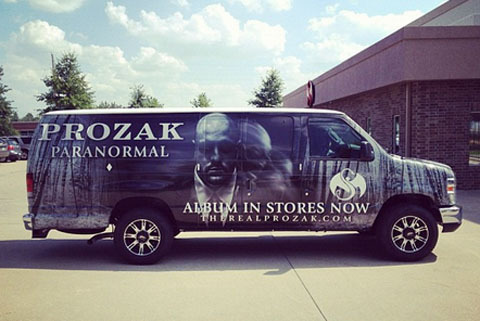 What better way to step out in support of Paranormal than a brand new van wrapped just for Prozak and Strange Music as the Saginaw native does what he knows best – spread the sickness! 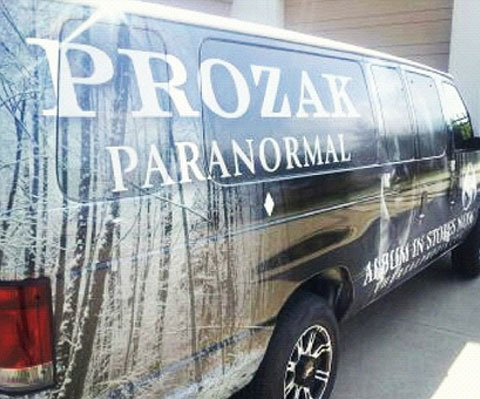 Catch Prozak’s new van in a city near you on the Mile High Tour! Click here for dates and info to the Mile High Tour. What do you think of the new Prozak van? Are you headed to the Mile High Tour?